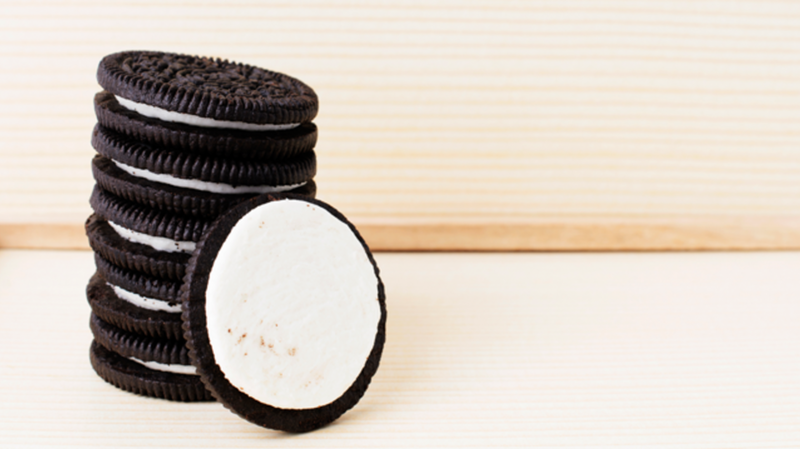 Oreo cookies are full of mysteries, not the least of which is the design of the wafer itself. But for many of us who’ve sat on either side of a cream-filled Oreo and twisted to see who got more of the delicious insides, another question has prevailed: What strategy, if any, can one apply to the game? We now have an answer, and it only took three Princeton University aerospace engineers to figure it out. As Gizmodo reports, John Cannarella, Dan Quinn, and Joshua Spechler were graduate students in 2014 when they first started to consider the question surrounding the world’s most famous sandwich cookie. They did a bit of research and, when they found that no one had tackled the question, set to work hunting for an answer. "It’s interesting from an engineering standpoint since the cookie is similar to many modern composites: a strong brittle layer (the wafer) for strength coupled with a weaker ductile layer (the cream) for toughness," Cannarella told Quartz. "Shatterproof glass and batteries are other good examples of material systems that are mechanically analogous to Oreos." Sure, yeah, OK. But it’s also really important for winning playground face-offs in the '90s. To get a better sense of the physics at play, the team analyzed the cookie, putting it through rigorous experiments involving both robotic testers and real-life participants. They went through thousands of Oreos and, in the end, made a discovery that will help you win your cookie war every time: In any given box of Oreos, the cream ends up on the same side for every single cookie. In other words, if you’re headed into battle, test a cookie from the box ahead of time. If you pull one out, twist it, and the cream is on side closest to the back of the box, that will be true for every cookie, in every row. While Nabisco isn’t forthcoming about the cookie-making process, Quartz notes that a 2010 episode of How It’s Made has an illuminating look at the process behind Newman-O’s, which in turn helps to shed some light on the manufacturing methodology of Oreos. To assemble the sandwich cookies, a machine applies a dollop of cream onto one cookie and then finishes it with another. The physicists guess that the first wafer probably has a better hold on the cream (though there’s no way to be sure) and that ends up being the victory cookie in the twist game. And there you have it. Go forth and share a cookie. Oh and we’re not necessarily saying you should employ the test cookie method to win, that would be cheating. We’re just the messengers here.